By Leah Dobrinska. Jun 21, 2018. 9:00 AM. Summer is officially here in the northern hemisphere! What better way to spend your extra daylight than by grabbing a favorite book to read or exploring a used or rare book store in search of a collectible? We love a good summer read, whether you plan to enjoy it on the beach, in your backyard, at a lake house, or in the comfort of your air conditioned home. Check back tomorrow for some of our favorite books to read in the summer months. For now, we got thinking about some of our favorite "long" books. After all, today marks the longest day of the year. It’s also the publication anniversary of Harry Potter and the Order of the Phoenix, which happens to be the longest book in the beloved series. While this book may not be particularly long in relation to the other titles on our list, it is the longest book in the Harry Potter series, with the UK edition clocking in at 766 pages. 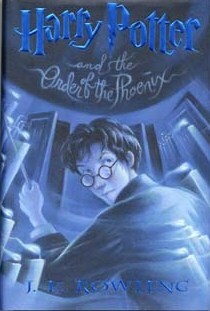 Harry Potter and the Order of the Phoenix begins with a glimpse of Harry’s summer—a wretched, long summer for the boy who lived, spent wondering about Voldemort’s return and left completely in the dark by his friends and teachers. Feeling abandoned and alone, Harry lives through a frightening attack by the Dementors in his own neighborhood. Certainly his was not a pleasant summer. However, getting to school and facing one Professor Dolores Umbridge was no cake walk, either. Poor Harry. Perhaps you are surprised to see a book by Carl Sandburg on a list of long books. Indeed, the man was primarily a poet, and he won two Pulitzer Prizes for his poetry. However, he also wrote one novel, Remembrance Rock, which was published in 1948. And he made his novel count! Remembrance Rock is 1,088 pages long, and it has an interesting structure, with a framing story at the beginning and the end and the middle filled with three manuscripts set throughout the course of American history. Indeed, critics often argue that Remembrance Rock’s merit is not that it’s a great novel, but that it speaks eloquently on issues of politics and patriotism. If everything is bigger in Texas, then it makes sense that Michener’s longest book took the Lone Star State as its subject matter. 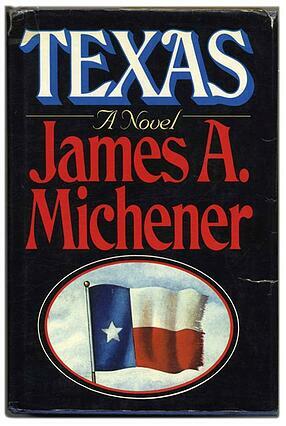 While Texas was not one of Michener’s most well-received works, it gives a sweeping, historic look at the state and the events of its past, and it is a fitting tribute to the state. Michener’s account is a factual one, and he utilized state archives and government resources to back up his story. Even though critics didn’t rave about Texas, it was made into a TV movie in 1994 and is a must read for anyone with fond feelings for Texas. We want to keep this post short, since these books will take up much of your time! But other long books that we’d be remiss not to mention include Infinite Jest by David Foster Wallace, War and Peace by Leo Tolstoy, and Les Miserables by Victor Hugo. What’s your favorite long book?